Most cars need a repair or two at some point during their lifespan. Whether it’s a fender-bender, low-hanging branches, a stray baseball or a runaway shopping cart, there are so things out there that can damage your vehicle. It’s a good thing you have a trusted auto body shop in your area, where you can bring your vehicle for just about any repair it might need. 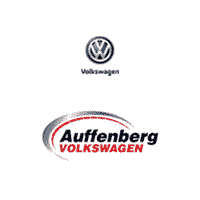 When you bring your vehicle to the Auffenberg Body Shop, you can trust that it will be ready to get back out on the road in no time. Our auto body shop is located at Auffenberg Ford Belleville and you can find it at 901 S Illinois St, Belleville, IL. You are welcome to bring your Volkswagen or any other vehicle to our body shop for all your repair needs. We have a skilled and experienced team of mechanics who are happy to take care of just about anything from paint damage to hail damage to wreck damage and everything in between. We use only high-quality parts, materials and tools so you know your vehicle is getting only the best care. If you have any questions about what we can do at our body shop or you’d like to get an estimate, don’t hesitate to give us a call. Then when your vehicle needs to be repaired, don’t hesitate to make an appointment by filling out our online form. Our mechanics will gladly take a look at your vehicle and do their best work to get your car back into great shape so you can get out on the O’Fallon, Granite City, Belleville, Edwardsville, IL and St. Louis, MO roads with confidence.